Nissan and NISMO with Rick Kelly are planning on entering a GT3 Nissan GT-R at the 2014 Bathurst 12 hour race February 7-9, 2014. It will be the first time a factory Nissan GT-R is competing at Mt. Panorama since the Nissan Skyline GT-R won back to back in 1991 and 1992. MELBOURNE, Australia / YOKOHAMA, Japan (17 July 2013) – Nissan Motorsport V8 Supercar driver Rick Kelly will drive in the Liqui-Moly Bathurst 12 Hour as part of the company's new 'Nismo Global Driver Exchange'. Kelly, driver of the #15 Jack Daniel's Nissan Altima in the V8 Supercars Championship and winner of the Bathurst 1000 in 2003 and 2004, will steer a Nissan GT-R Nismo GT3 in the endurance event, entered and prepared by Nismo's own factory team from Japan as the 'Nismo Athlete Global Team'. The decision by Nismo to contest the Liqui-Moly Bathurst 12 Hour is testament to the growing stature of this event on the world stage, as well as the impact that the Nissan V8 Supercar program has made as the newest addition to Nissan's global motorsport activities. Nissan Motorsport became the first new manufacturer to enter the V8 Supercars Championship in over two decades when it announced that it would re-enter the sport with a four-car factory team fielding Nissan Altima V8 Supercars. "In selecting the Bathurst 12 Hour as a key part of our 2014 racing program, Nissan has further cemented Australasia as a critical element of our global motorsport plans," said Nissan global motorsport director Darren Cox. "Mount Panorama is one of the world’s iconic racing circuits and the Nissan GT-R has incredible history there. We are pleased to be at Bathurst with Nissan Motorsport in V8 Supercars this October, and then again with the Nissan GT-R Nismo GT3 next February for the Bathurst 12 Hour. "Our Nismo entry in the Bathurst 12 Hour is an important part of our 'Nismo Global Driver Exchange' and we are excited to have Rick Kelly as an Australian element of this entry next February." It will be Kelly's maiden start in the Liqui-Moly Bathurst 12 Hour, but the 2006 V8 Supercars champion has a wealth of experience at the famous Mount Panorama circuit. Kelly has entered Australia's 'Great Race' on 12 occasions, winning in 2003 and 2004. "I couldn’t be more excited about this opportunity to race a Nissan GT-R Nismo GT3 at the 2014 Bathurst 12 Hour," said Kelly. "The GT-R is an amazing car in its standard form, so in Nismo GT3 race-specification, I think it will be capable of great things. "I haven’t competed in the Bathurst 12 Hour before, and for me, it's because I haven’t had the right opportunity. Certainly this one is the right opportunity, and it will be the first time I've driven something other than a V8 Supercar in a while. "Nismo has kept a very keen eye on our V8 Supercars program since we announced we were bringing Nissan back to the sport here in Australia. We've had strong and open dialogue with them and I think this is the start of what we can make happen in the future. "The car will be capable of winning, and Nissan's history at Bathurst is well documented, especially with the GT-R, aka 'Godzilla'. We'll be giving it our best shot. 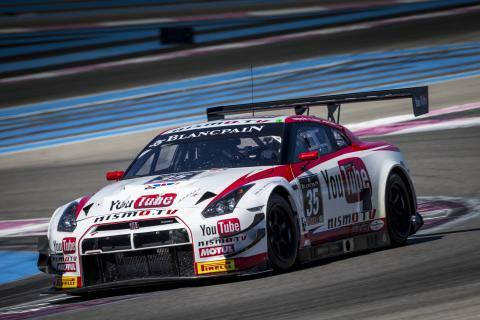 "It's exciting that this entry will form part of the Nismo Global Driver Exchange. It's fantastic that Nissan is not only committed to an entry in the 2014 Bathurst 12 Hour, but is also sending drivers from its extensive global motorsport program to the event." It will be the first time that a factory Nissan GT-R has competed at Mount Panorama since the early 90s when Jim Richards and Mark Skaife scored back-to-back Bathurst 1000 wins in 1991 and 1992. The 2014 Liqui-Moly Bathurst 12 Hour will be held on February 7-9. Further details and drivers for the 'Nismo Athlete Global Team' campaign at the 2014 Bathurst 12 Hour will be announced at a later date.